The National Archaeological Museum is continuing its ‟Open Museum” activity, from January to November 2019, with a second cycle of thematic presentations revealing the museum’s invisible aspects to visitors. The activity aims to acquaint the public at large with complex work carried out on researching and conserving antiquities and displaying them to best advantage. The half hour to one hour activities include observing the actual exhibits and a powerpoint presentation. By having personal contact with the specialized personnel of the National Archaeological Museum, visitors will have the chance to familiarize themselves with important aspects of the scientific work done by the former. 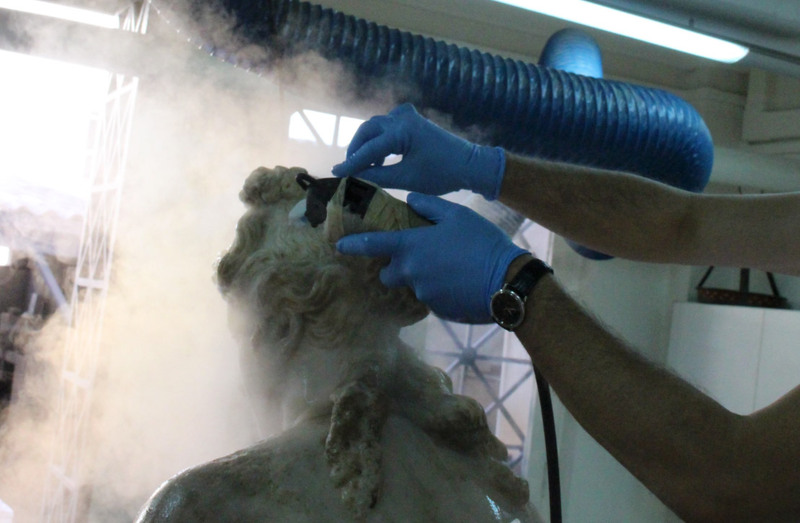 On Thursday January 24, 2019, two presentations will take place (at 12.00 and 12.45) one of two in the series ‟Restoring beauty: conservation operations on the statue of an unknown Aphrodite”. A month before being displayed for the first time to the public as part of the ‟Countless aspects of Beauty” exhibition, a marble statue of Aphrodite, a variation from the Roman era of the Knidian Aphrodite by Praxiteles, will be shown in the Sculpture Conservation Workshop of the National Archaeological Museum. Archaeologists and conservators will speak about the statue and its history, its state of preservation, earlier operations for its restoration and its recent conservation. To attend, booking is required by calling 213 2144800. 30 people in two groups of 15 will be admitted on a first come first served basis at 12.00 and 12.45. It is essential to purchase an entrance ticket to the museum.